After adding only three accounts, you are not allowed to add any more unless you choose one of their upgrade plans. Most of the 5 star ratings are years old. I thought this app would be good considering I have different passwords for different platforms, but I got annoyed with this last night when I tried to add another platform and password last night and I can only do it if I pay (I only have 2 saved for free). This was a waste of time and space on my phone. I shouldn’t be limited on how much I can save before making me have to pay. Hardly free when you can only save 2-3 passwords before you are forced to purchase something. It only allows 3 passwords before it forces you to pay for the product. It would have been nice if they mentioned this up front. I know a lot of apps have in app purchases but usually the app is functional at a basic level without purchasing IF the app is advertised as free. 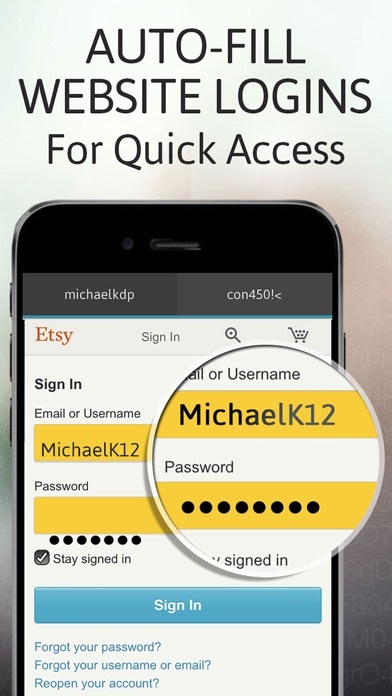 This app lets you hold two...that’s right TWO passwords before it forces you to buy. That should be stated up front. This is not a free app but a pay app...which is fine, but needs to be promoted as such. They allow only three free passwords input and after that, the upgrade is required to be able to add additional. Very nice interface!! 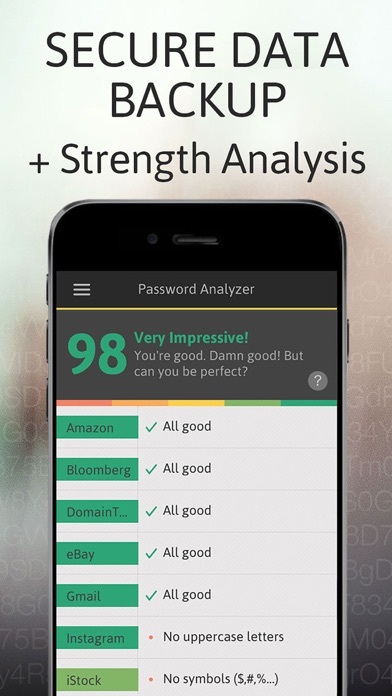 But if you are looking for a free password version this app is not for you. Version only allows you to save 3 passwords? I've never written a review for an app, because I've never really cared enough to do so. BUT, this app has been a go to app for me for years now. I would never delete it. It's so well laid out, easy to to use, and useful. It just makes sense. There's no clutter. It does exactly what I need, and is organized in a way that makes your password super easy to find. I've never felt a need to look for another password app. This one is perfect. It’s not a free app Most of the password savers that let you have free storage you can put 100 or so passwords on, this one only 2! Limited to three passwords in the free version. Not worth downloading unless you want to upgrade. This is very secure I got another app and it had a very bad virus and I got hacked on a different app. I got the app because it was free and it had good ratings, but if you look closely most are from the company and there is mostly one star ratings. I put in two passwords and it was great, but then I went to add another password and it said I have to upgrade and pay money. They should tell the truth about the price! 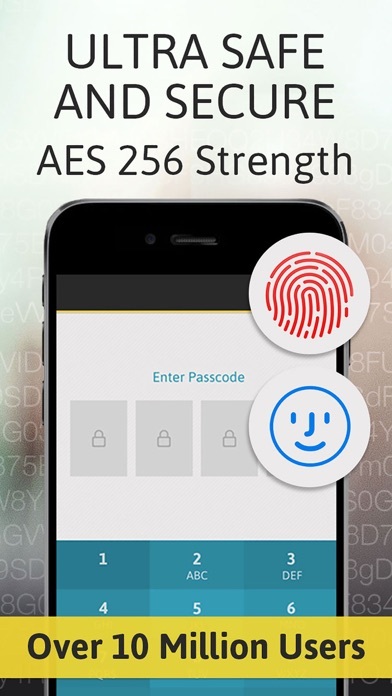 I don’t recommend this app for anyone who doesn’t want to pay money to write down passwords! Most of the 5star reviews on here are auto generated or made by the company if you read closely. I’ve seen way more genuine one star ratings than 5star yet this app has a 4.8 star rating. It doesn’t tell you, but once you put three passwords in, you need to upgrade for $4.99. They don’t say it anywhere until you download it and try to actually USE this app, but the free version only allows you to save TWO passwords. TWO. More than that and you HAVE to upgrade. I don’t expect unlimited for free, but seriously, TWO??? That’s a joke. It’s essentially unusable unless you pay 5 bucks a month ($60 a year!). EVERY. YEAR. Not worth that kind of money. Easy to use with full backup and recovery with no cloud interface. Genius!!! Please call me right away. I didn’t want to sign up for this app. Must have authorized it by mistake. I hate when you companies do this. Make it easy to purchase and very hard to cancel!!!! But not after users used the app for a while. I downloaded this app in Nov. 18. Installed on an IPad. Set up passwords for one banking site, PayPal, and one secure website. Then when I tried to add another bank and another site, I got repetitive "there is error" message and I could not do anything, FWIW, the password did work for my bank after I modified the landing page URL. But I've trashed the app -- tried reinstalling it and same thing -- it looked after 3 simple accounts. Crashing the app and there is no cloud data protection. Seriously, this app is amazing. It holds all your passwords/login information securely and neatly. 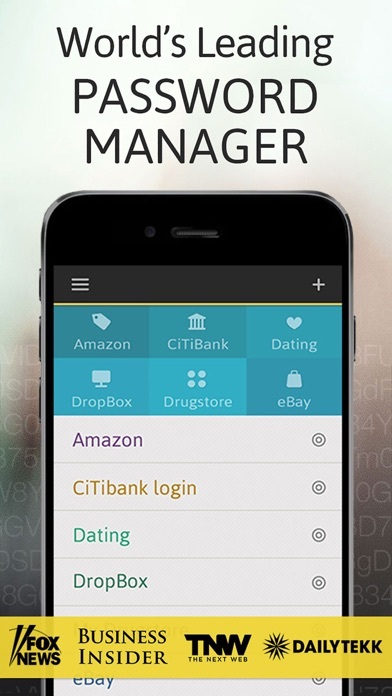 This app also has the ability to store credit card information! I’m a very organized person and this app is very helpful and has many options to keep everything easily accessible and organized. I no longer have to scramble though a bunch of papers to try and find my password for a website. I just click this app, use my Touch ID, type in the name of the website and voila! Login information in seconds. You can even write notes per entry. I’ve used this app for almost 5 years now and have absolutely 0 complaints. To top it all off, the customer service is EXCELLENT. Extremely satisfied and impressed with the quality service I received. Unless you want to pay $40 or monthly subscriptions this is useless. Limited number of stored items until it wants you to pay. You can rely on this app!! One month for free then they start charging just so you know. 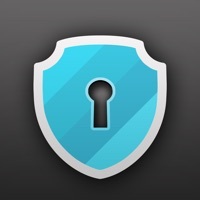 Beautifully and simply designed app Really useful and secure! I lost everything I’ve saved in this app when I got a new phone earlier this week. I’ve tried to contact the developer but they haven’t responded. Customer service is NONEXISTENT. Save your money and more importantly your passwords somewhere else. I've had this app for years and loved it. But ever since I upgraded my iPad Air 2 to the latest version, I'm finding out now that the import/ export feature is disabled! So now I'm unable to sync my devices unless I pay the subscription. I don't mind paying if its a good and reliable app but the prices are outrageous. Uhhhh!!! Time to look for another app! ------------------- Love the app so I'm giving it 5 stars. It does what it says it does 98% of the time. When it cannot connect to the site, I noticed that it's to the bank sites because of the double security that the bank requires which I totally do not mind. Security is top priority. 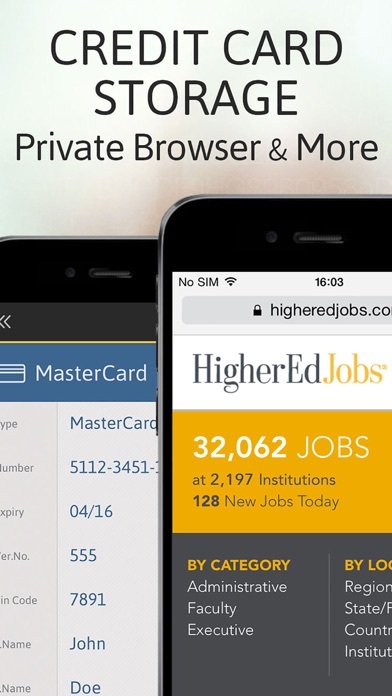 I love the app too because all the info like the site name, user ID, password and notes are listed. So it is now my database for all my passwords. This is my new favorite app. It is exactly what I’m looking for. I downloaded it no more then two minutes ago after looking through the App Store for a password holding app. My favorite part about this app is how few buttons there are. It does exactly what I want it to do and no more. It doesn’t have tons of extra features that you would never use anyway. It stores my passwords in a nice list and when you click on one it simply shows you your user name and passwords and any notes you wrote. I hate when my apps are so cluttered with so many features that I never use. This app is so sleek and perfect. Get this app! App updated automatically and now ALL my data is gone. Support just asked if I tried rebooting my phone and did not help further. Have used it for a number of years and love its user friendly design. Have dabbled with a few others, but none match this program for ease of use, organization, safety and lack of hassle. Love it!! I’ve used this app of a year and love it. I’ve been using this app for 2-3 years! I purchased the “lifetime license” $30 use. Today I sign on to “transfer data” to my iPad app (which I do about 10 times a year) and was told I needed up upgrade to “premium” package. My “Status” on my iPhone states I have “encrypted”, “lifetime license”, but NO “secure backup” and NO “unlimited storage”. Why has this changed? My iPad states I have all 4. “Encrypted”, “Lifetime license”, “secure backup” and “unlimited storage”. I have PAID for these options! In a world where one password for everything no longer works, this program has saved me from many password retrieval’s. It works great, customer support is great, and I feel much more secure. Just what I was looking for. Simple and easy. You do have to pay subscription. I did lifetime. It could do with a little polishing but it certainly works and does everything it says it does. The area at the bottom for comments is very limited and could be expanded.